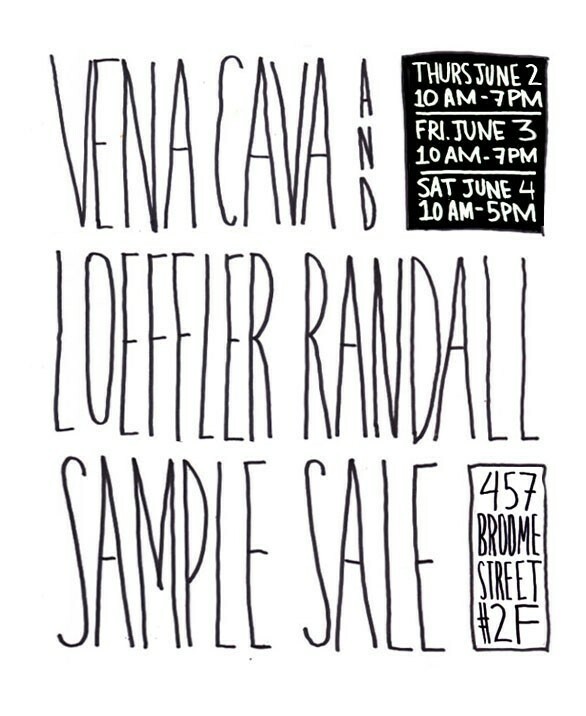 I have attended only one sample sale in my life. My dear friend, Angie, took us to a nameless sale in a basement space somewhere in NYC. I was blown away by the prices. 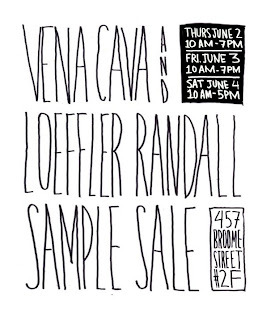 Here is the scoop on a Vena Cava sample sale happening in June. Let us know if you attend and if you get anything mindblowing. What has been your best score at a sample sale? Make us jealous in the comments. and I had a chance to revisit the line and try some more products. (a very light peach, priced at $2.49). I was watching Interview with a Vampire on the Syfy channel. I forgot how magnificent Kirsten Dunst was as Claudia, the child vampire. She was bewitching. Her career has had its moments. But I never doubted that she would survive and return in glory. Kirsten is getting rave reviews for her role in Melancholia. She has also won the best actress award at the Cannes film festival. During the media firestorm concerning the director's "bat*hit crazy" comments, Kiki handled herself with dignity and grace. Her makeup was flawless. 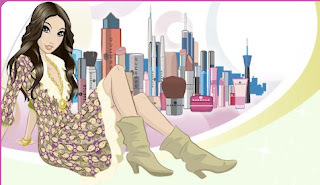 That is a foundation that does not budge! The makeup artist was Sabrina Bedrani and she used Chanel makeup. For Kirsten’s first red carpet appearance at Cannes, Sabrina used CHANEL Vitalumiere Aqua Ultra-Light Skin Perfecting Makeup SPF 15 in Beige Rosé Tendre to highlight her complexion and CHANEL Powder Blush in Rose Écrin (available July 2011) on the cheeks. Sabrina used Illusion D'Ombre de Chanel Long Wear Luminous Eyeshadow in Emerveillé (available July 2011) on the eyelids to create a neutral shimmer, and Precision Eye Definer in Khaki Platine (available July 2011) to define the eyes. To complete the look she used CHANEL Inimitable Mascara in Noir on the eyelashes and applied CHANEL Rouge Allure Lipstick in Enthusiast to the lips. To complement the award-winning actress’s CHANEL Haute Couture strapless dress, Sabrina created Kirsten’s gorgeous, glowing face using CHANEL Vitalumiere Aqua Ultra-Light Skin Perfecting Makeup SPF 15 in Beige Rosé Tendre and highlighting her cheeks with CHANEL Powder Blush in Rose Écrin (available July 2011), Kirsten’s eyes were adorned with Illusion D'Ombre de Chanel Long Wear Luminous Eyeshadow in Epatant (available July 2011) and her lashes were lengthened with CHANEL Inimitable Intense Mascara in Noir. Sabrina finished the look with CHANEL Rouge Allure Lipstick in Passion. gang for a day of shopping, lunching, shopping, sniffing new perfumes, trying on shoes, and chatting over coffee. We browse Anthropologie in search of any new fragrances, checking sale racks, and loving the decorator section of the store with its pretty dishes and lovely linens. A few months ago, on our little stop in the store, we discovered the brown bottles of Le Labo For Anthropologie perfumes. There were no blotter sticks or test strips in sight. We went to the register area to ask, but we were only given a little strip of cash register paper. Back to the display we went. We sprayed all of the perfumes onto pieces of that register tape. I smelled mostly paper, but I knew immediately that these were all such lovely, thoughtful perfumes, well-blended, and made in the tradition of classic perfumery. They don't smell like any of the Le Labo that I have tried. We fell in love with them, and Ms. Blogdorf wisely caved on two of them right then and there. I was not so smart. I loved two of them but did not cave. I neglected to try them on my wrists. I should have, because then I would not have had to wait to make the most amazing discovery of all my perfume-loving years. if indeed it was true. I sent a few samples to some other pals to see if they agreed, and they did. I wanted to know for sure, so I wrote to the Le Labo perfumers by contacting them on their website. As I was waiting to hear from Le Labo, I bought another bottle of Belle from the Anthropologie website. Nobody at the actual store in Cleveland could tell us if these were going to be permanent offerings by Anthro, or if they would be gone when they sold out. At least now I had a backup. I wore it constantly for two solid weeks. Every time I put on Belle Du Soir, I was more and more convinced that the Le Labo perfumers had known the original Deneuve and had set out to recreate it. When I finally heard from Le Labo, Monsieur Fabrice did not confirm or deny my suspicions, but they did appreciate my note, or so they said. They were happy to hear from a perfume lover who appreciates their fragrances. End of note. five historically inspired scents that pay tribute to the era of perfumery when artisans crafted small batches using the highest quality natural ingredients. So, now that we know these are historically inspired, I told Ms. Blogdorf that we have to report to the BlogdorfGoodman readers about this remarkable discovery! 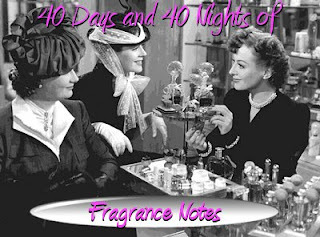 Annie has written about Bouquet Blanc, the best lilac fragrance she and I have ever smelled. Lilac isn't even listed in the fragrance notes on the Anthropologie website. Chant De Bois is a gorgeous classic chypre in the tradition of the old revered Guerlains. It is a must-try for any oakmoss lovers. All of the Le Labo For Anthropologie are beautiful and worthy of trying in person if you're in an Anthropologie store. Do it soon and back up your loves with an extra bottle. And please, if you detect any similarity to other scents, please let us know. Belle Du Soir and the other Le Labo For Anthropologie perfumes are EDP's in a two ounce bottle for about $62. Solid perfumes in cute little metal containers are also available for $28. I think I know a little "something" about incense. I attended catholic school throughout my adolescence. Incense is equal parts comforting and terrifying. Sometimes it takes me back to disapproving nuns and long masses. Incense can smell dry, dark, resinous, earthy, grassy, rose-like with bursts of a slight lemon edge. There are many type of incenses used in fragrance. Frankincense, also called olibanum, is an aromatic gum resin from trees of the burseraceous genus Boswellia, which occur in Asia and Africa. Myrrh is a resin from a small spiny tree. Labdanum is a dark resinous juice that exudes from various rockroses of the genus Cistus. Opopanax, also called sweet myrrh, is an herb that produces a a yellow flower. A resin can "be extracted by cutting the plant at the base of a stem and sun-drying the juice that flows out". Very lavender-like. Tolu Balsam is a resinous secretion that is known for its warm, mellow yet somewhat spicy scent. Galbanum is an "aromatic gum resin, the product of certain umbelliferous Persian plant species. It occurs usually in hard or soft, irregular, more or less translucent and shining lumps, or occasionally in separate tears, of a light-brown, yellowish or greenish-yellow colour, and has a disagreeable, bitter taste, a peculiar, somewhat musky odour, an intense green scent". Picking the best of the incense genre is a difficult task. I would have to say that Armani's Bois d'Encens is the most exquisite. It is dry like a crisp fall leaf with this incredible sweetness. I wish a church smelled this good! Etro's Messe de Minuit is the most realistic church fragrance. It smells exactly like the catacombs in the Canterbury Cathedral. There is a slightly damp basement/mausoleum vibe. It is interesting but hard to wear. L'Occitane's Labdanum is all kinds of sunlight and peppery incense smoke. Of course, no incense post would be complete without a nod to the incense series from Comme des Garcons. The notes for Kyoto are incense, cypress oil, coffee, teak wood, vetiver, patchouli, amber, everlasting flower and Virginia cedar. I have gone through two bottles of this fragrance. There is something very delicate about it. Avignon's notes are Roman chamomile, cistus oil, elemi, incense, vanilla, patchouli, palisander, and ambrette seeds. I have a great love for the smell of ambrette. I get a musky concrete cloud. Zagorsk notes are white incense, pine, pimento berries, hinoki wood, violet, cedar, iris and birch wood. This smells like forest floors with pencil shavings. Jaisalmer's notes are cedar, vetiver, cardamom, incense, cinnamon, amber, benzoin, pimento berries, guaiac wood and pink pepper. This incense is very dry and crisp. Ouarzazate's notes are incense, pepper, nutmeg, clary sage, wenge, musk, vanilla, labdanum absolut and kashmir wood. This is the only fume in the series that I do not own. Donna Karan Black Cashmere: So damn good!!!! What are your favorite incense fragrances? Let us know in the comments. Disclosure: All products were sniffed and purchased by the reviewer.